Round 1 of the border. sl stitch, 3 chain, repeat. Round 2 – 3 chain, 2 tr crochet – sl st into next block. Half way! The turning point! This is a Corner to Corner crocheted blanket. Otherwise known as a C2C, you might like to come and join us in the Ravelry C2C group – the link is below and in the sidebar. Tonight the rows will begin to get shorter. I started it on 28th Feb, and it ‘grew’ on me. There are 15 colours – a mix of pinks, blues and a neutral. I was able to devote more time to it than expected, but who knows what the future holds! Posted for National Crochet Month. 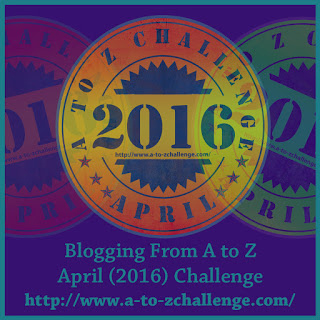 There will be another post for this theme tomorrow – and I will also give you an idea of the posts I will be making for the April A-Z challenge. If you are thinking of taking part there is a link in the sidebar to the details. Making the most of an extra day! My day started very early. I awoke shortly after midnight and was still up at 3am. Consequently I continued with a new blanket that I began yesterday evening. What are you doing on your Leap day? DanielleJoe has written about her day here. 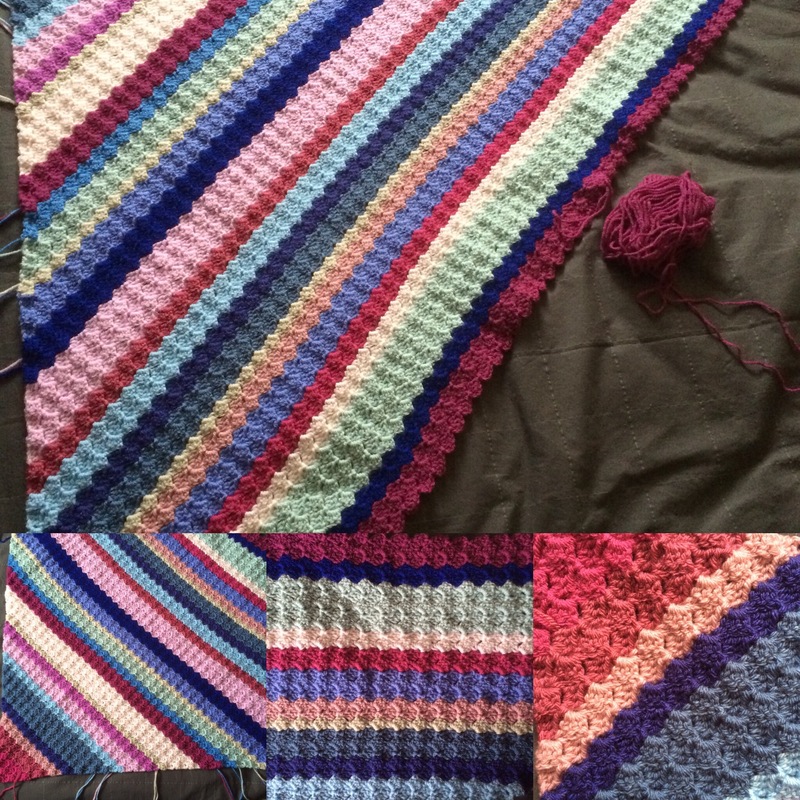 Author nuvofeltPosted on February 29, 2016 February 29, 2016 Categories Blanket, Colour, crochet, This and ThatTags 2016, c2c, colours, corner to corner, crochet, February, Raspberry Lobelia Blanket, Stylecraft, wip, work in progress3 Comments on Making the most of an extra day!